Jeff Rossman is a Partner in the Litigation Practice Group. Jeff is a trusted advisor and counselor to his clients. He has extensive trial and appellate experience and has tried and argued cases in federal and state courts across the country. In addition to his substantial litigation experience, Jeff regularly counsels clients on litigation, tax and regulatory matters across the country, including acting as national counsel for several large eCommerce companies in which he advises and helps direct and implement national strategy. Jeff has extensive litigation experience including state and local tax matters as well as financial services litigation. Obtained complete defense verdict for Expedia after two week trial involving claims of statutory violations as well as consumer protection claims. Successfully argued summary judgment on state-wide statutory claims. Successfully argued appeal before the Third Circuit upholding dismissal of all claims on standing. Obtained favorable judgment, after trial, rejecting all claims against broker dealer in action relating to margin loans. Achieved reversal of conviction in Seventh Circuit of healthcare fraud conviction. Represented the Special Litigation Committee of a large real estate investment trust in connection with an independent investigation of various facts and circumstances raised in derivative demands, a filed derivative action, various books and records actions, and an SEC investigation. Represented the Special Litigation Committee for a for-profit education company in connection with an independent investigation of alleged securities and accounting fraud in connection with a filed securities action and an SEC investigation. Secured dismissal of securities class action complaint with prejudice on statute of limitation grounds. Successfully prosecuted fraud claims against member of a captive insurance company. Favorably resolved numerous interest rate swap valuation disputes with the Lehman Brothers estate. Successfully defended trading companies in CFTC investigations. Represented national accounting firm in SEC and Public Company Accounting Oversight Board enforcement actions relating to alleged accounting fraud. Represented bond trustee in action to secure repayment of debt in bankruptcy action. 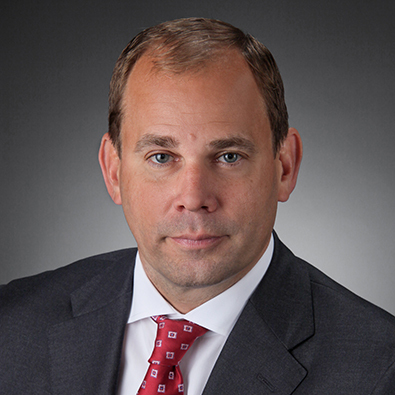 Prior to joining Freeborn, Jeff was a Partner in the Chicago office of McDermott Will & Emery LLP in the Trial Practice Group.